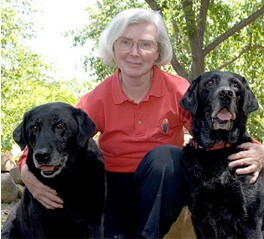 Wilma Melville, a retired physical education instructor and grandmother of six, founded SDF in 1996 after she and her FEMA-Certified Search Dog were deployed to the site of the 1995 Oklahoma City bombing. After witnessing the magnitude of devastation, Wilma became aware of an alarming shortage of Canine Disaster Search Teams in the United States and was determined to do something about it. 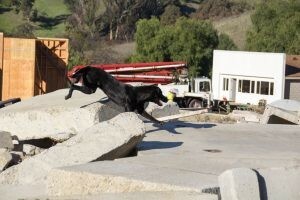 Wilma partnered with renowned dog trainer, Pluis Davern, to develop a new methodology for training disaster Search Dogs. 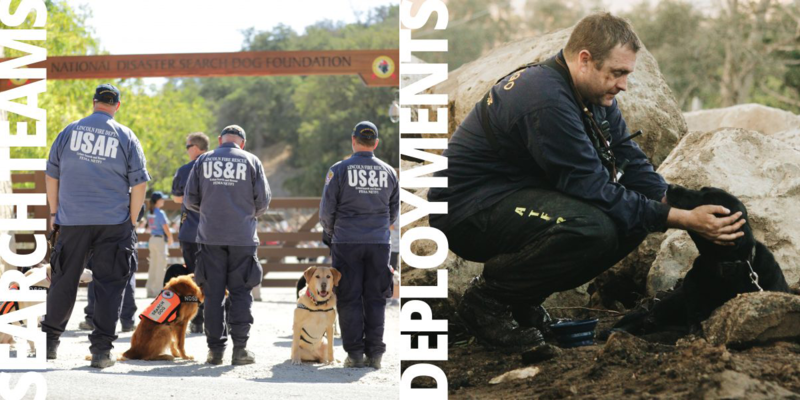 SDF focuses on recruiting rescue dogs who have been abandoned or abused. Abandoned dogs often exhibit intense energy and extreme drive, which may make them unsuitable as a family pet, but these same characteristics make them ideal candidates for search and rescue. SDF uses the phrase “From Rescued to Rescuer” to describe their recruits. And the best part... SDF makes a Lifetime Care Commitment to every rescued recruit: once rescued, it will never need to be rescued again. If unable to complete the program for any reason, dogs are placed in a loving Lifetime Care home. 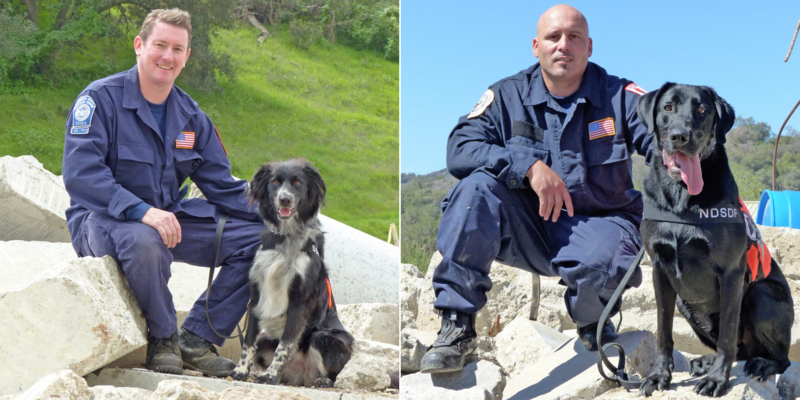 Based in Santa Paula, California, SDF is the only organization in the United States offering professionally trained canines at no cost to fire departments and other first responders. Once trained and partnered with a handler, Search Dogs and handlers are together 24/7, forming a unique bond. Each team trains weekly and receives ongoing training to achieve and maintain the extremely high skill level needed to attain FEMA or State Certification. Since 1996, SDF has trained 71 SDF Search Teams in ten states, and because of Mutual Aid Agreements between states, SDF teams are able to deploy wherever disasters occur nationwide. In 2017, SDF opened the National Training Center (NTC) on 125 acres of donated ranch land in Santa Paul, CA. In this state-of-the-art facility, search teams receive advanced preparation for the most difficult deployments. The cost to recruit, train, care for, and partner each dog with a firefighter-handler is $20,000. As a non-profit, SDF receives no government funding, relying solely on supporters to finance their operations. 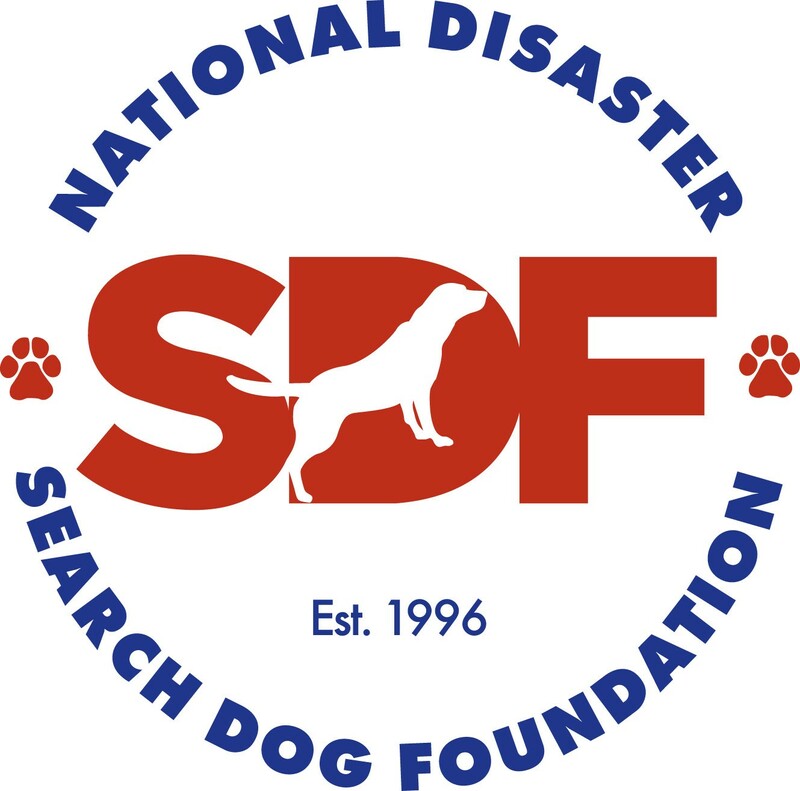 4Knines is proud to support the National Disaster Search Dog Foundation. We hope you will consider supporting SDF by joining the Bark Force, purchasing some SDF gear, or making a financial donation.